The pink salmon is the smallest of the Pacific Salmon, commonly reaching a few pounds in weight. 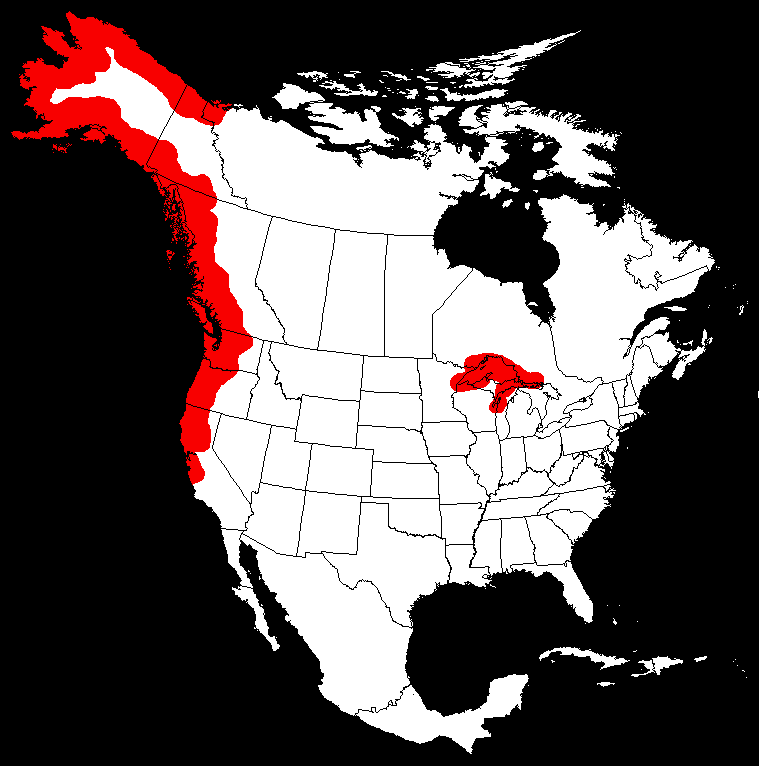 Their native range stretches down the pacific coast from Alaska to California. Prior to spawning, the males develop a pronounced hump in front of their dorsal fin. For this reason the species is often called the humpback salmon or "humpy". Though spawning pink salmon seldom feed, some will strike at live bait in the early stages of this transformation. In 1956, about 21,000 pink salmon were inadvertantly introduced into a Thunder Bay tributary in northwestern Lake Superior. Over the course of a few generations of stunted adults, the number of "pinks" that have descended from the originals imported from the Pacific Coast has grown larger. Populations of pink salmon are now thinly dispersed throughout all Great Lakes. For several years, pink salmon spawned every other year in Superior's streams. This is because pink salmon almost always spawn and die in the fall of their second year of life. However, because Lake Superior's nutrient-lean waters have slowed their growth, some pink salmon have taken three years to mature. As a result, there are now spawning runs every year in some Lake Superior tributaries.In their native Pacific Ocean, pink salmon have grown in commercial value and are now canned and sold widely. The discovery in recent years that they will also take bait from a trolled hook and line has also made them a desirable sport fish in British Columbia waters and in Great Lakes waters as well. Care must be taken, however, to ice down the fish after capture because its flesh deteriorates rapidly. 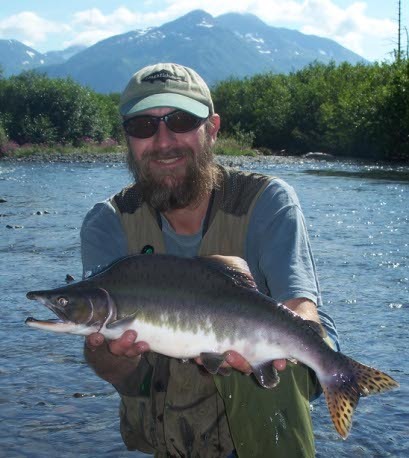 Mega humped up male pink salmon caught on a bead while fishing the Willow RIver in Alaska.